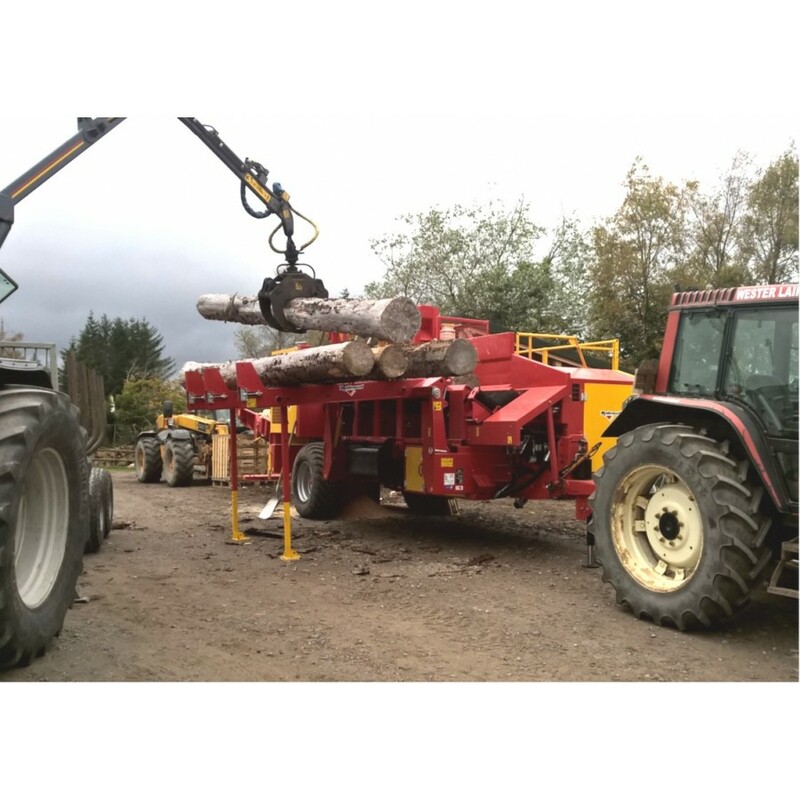 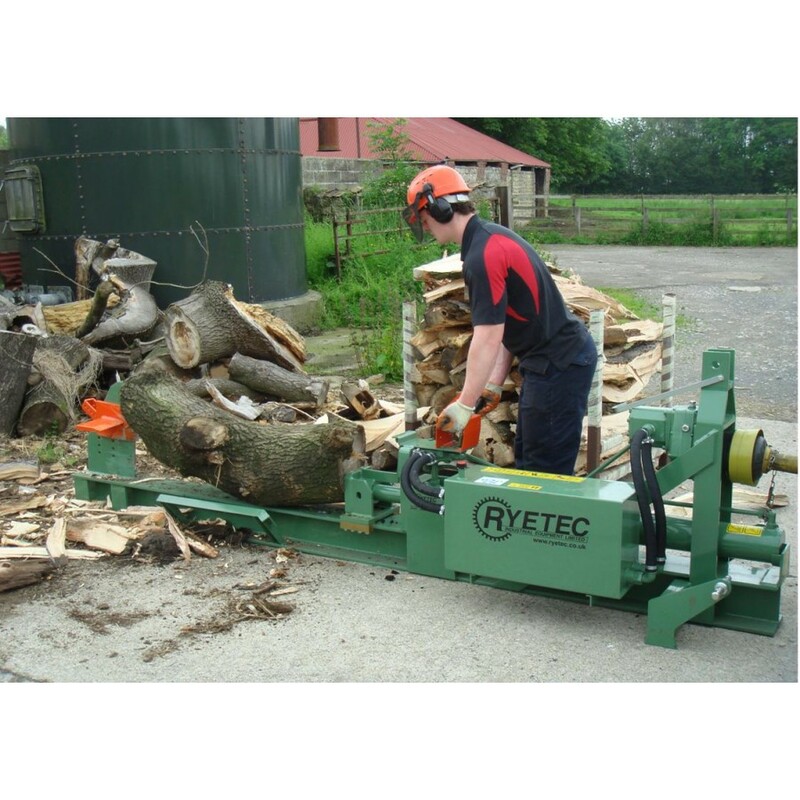 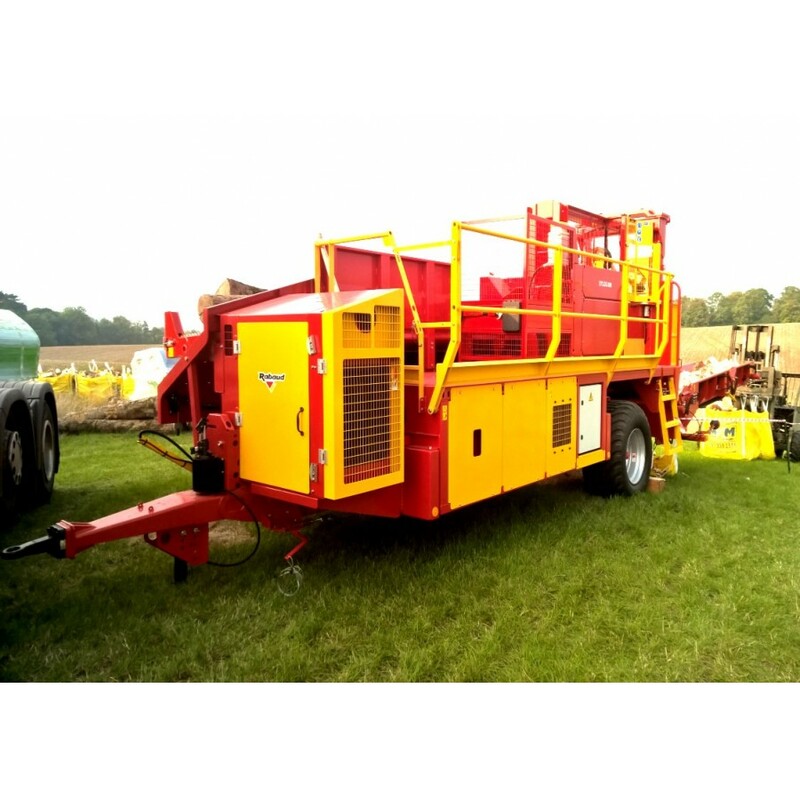 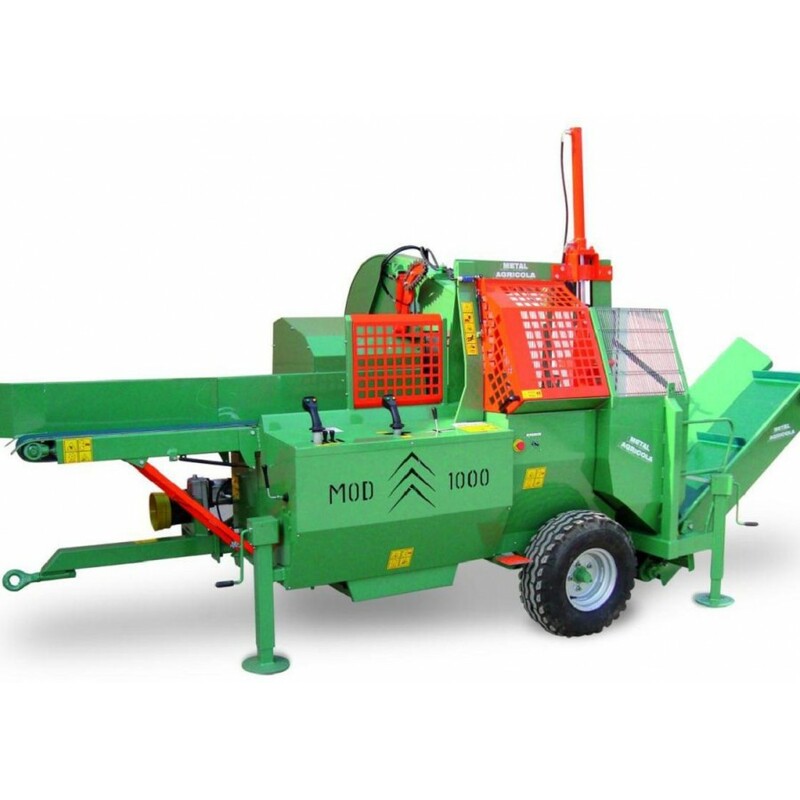 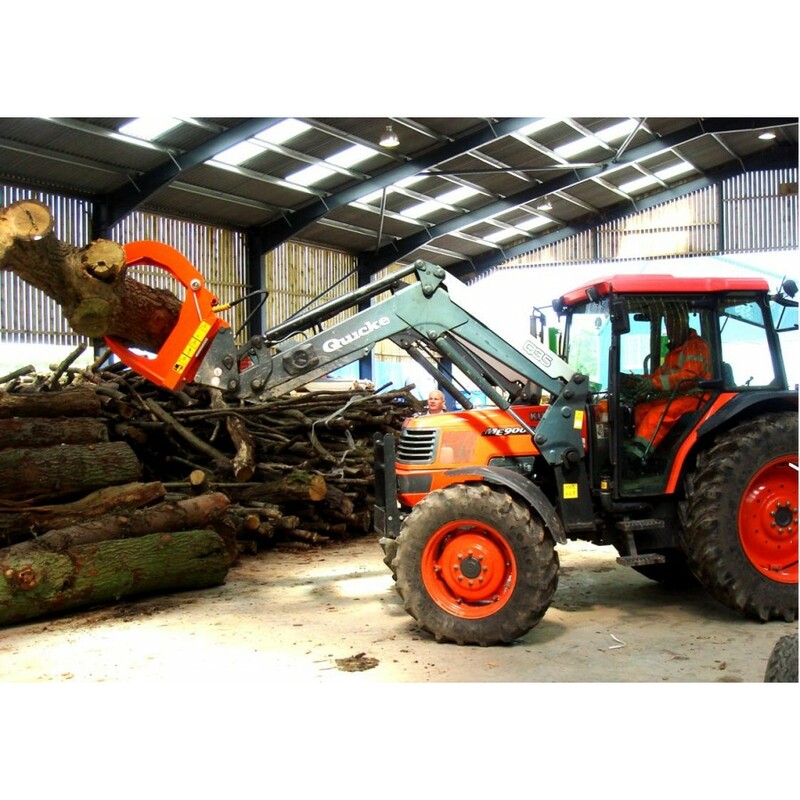 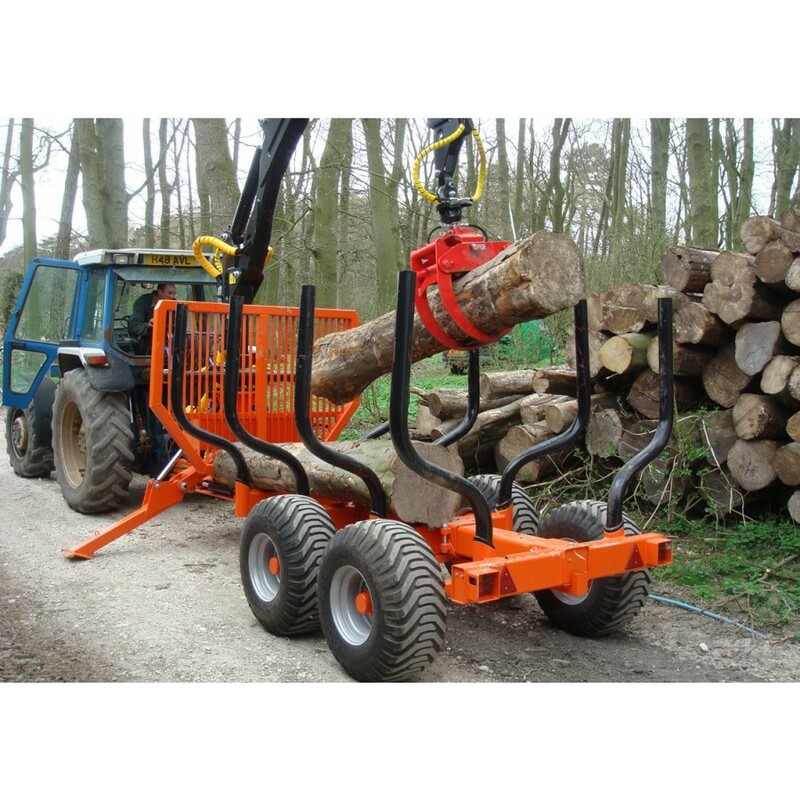 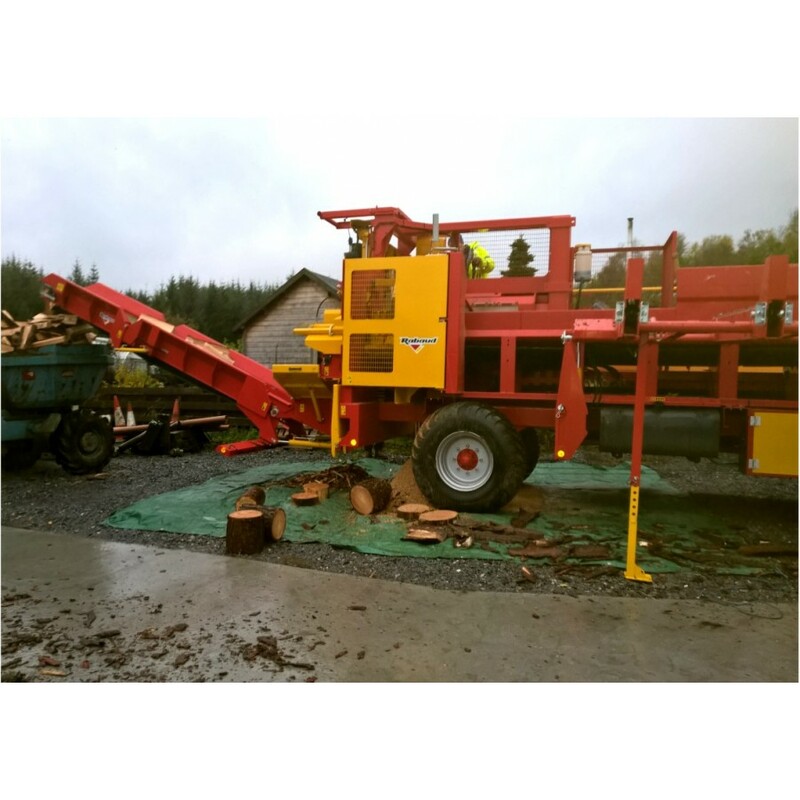 The Xylog 600 is a high output firewood log processor for large contractors and firewood producers built with a range of options to suit individual customer requirements. 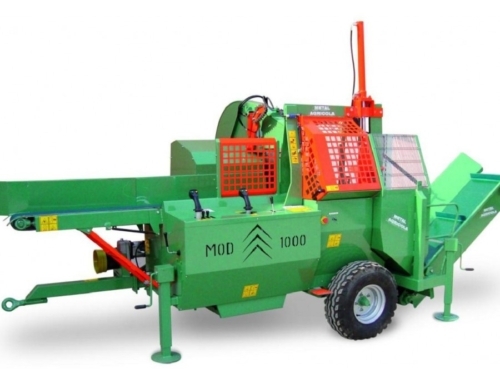 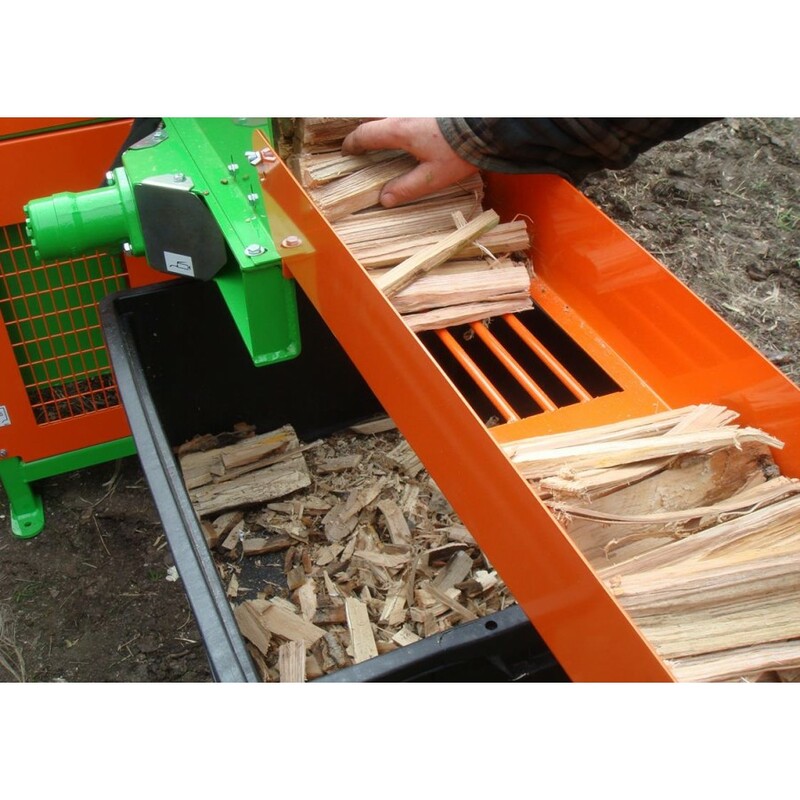 The Xylog 600 offers high speed production of quality logs for contactors and large scale producers of firewood. 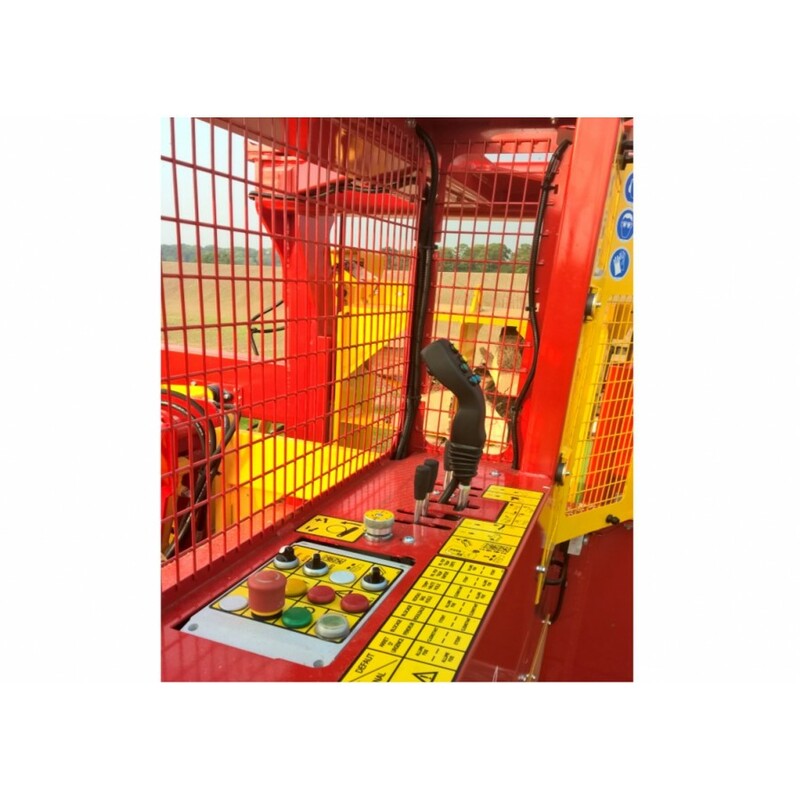 Available for bespoke static installations to suit customers individual requirements with a range of options or as a self contained standalone mobile unit for efficent site work, capable of being set up or packed away in less than 10 minutes. 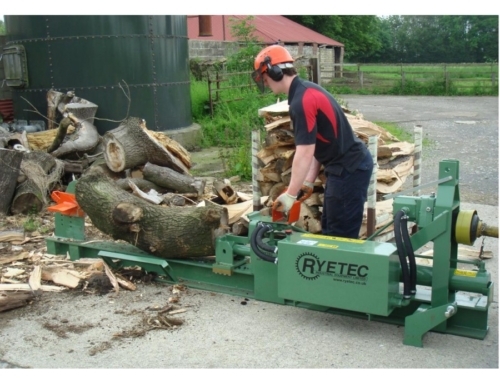 600mm cutting capacity with Oregon harvster spec chainsaw. 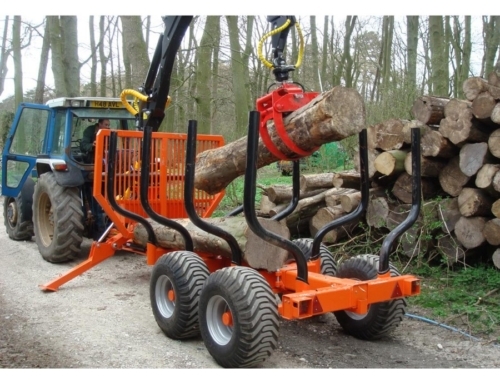 Twin belt intake of raw timber length upto 5 metres long. 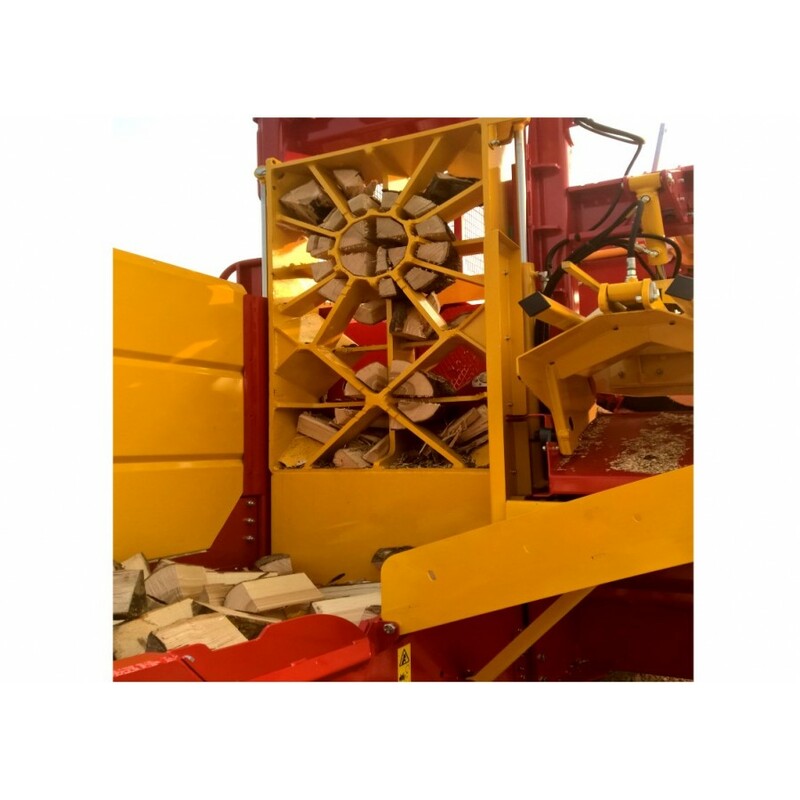 Hydraulically controlled splitting axe cassette for 2/4/8 & 16 way splitting. 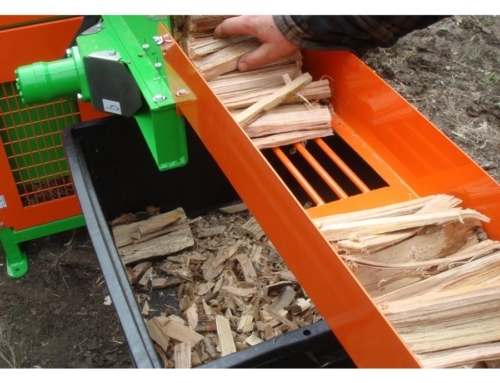 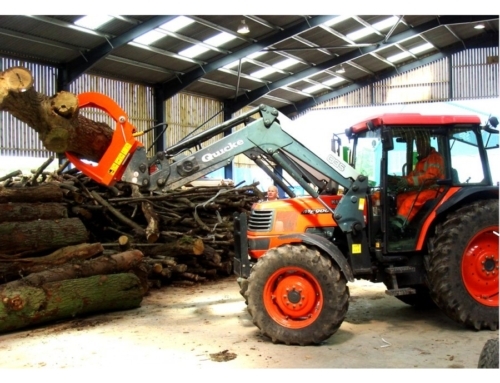 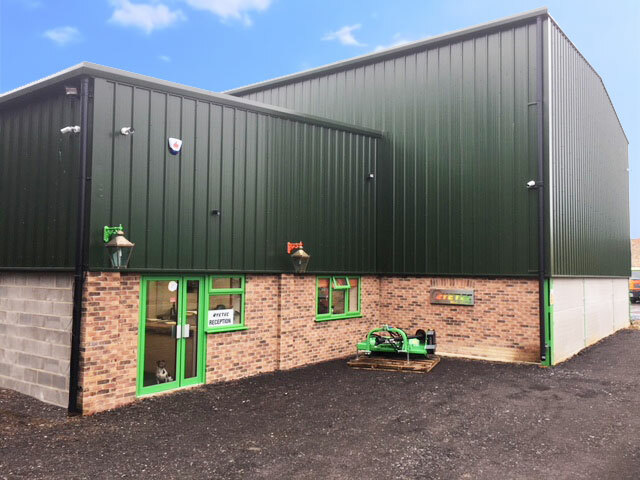 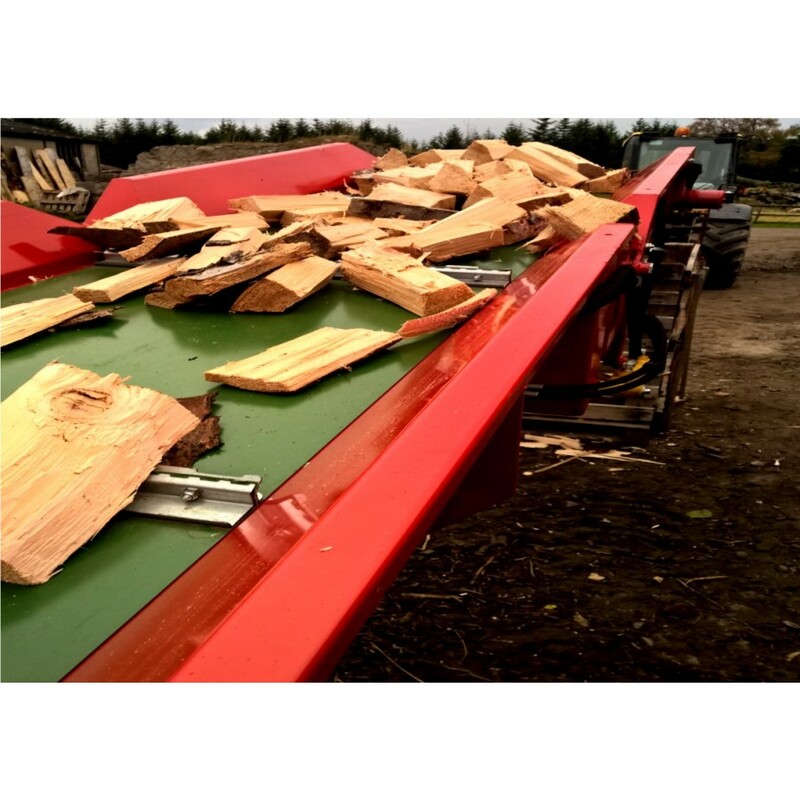 The incredible capacity of the XYLOG 600, and its ability to quickly and easily handle even awkward pieces of timber with its twin infeed belts arranged in a “V” to both centre the wood for cutting and also propel awkward lumps of timber into the machine, the ability to cut the next log while the previous log is split, self centring axes and a simple operation leads to maximum production, with rates of 10-15m³ per hour process timber being achived on large diameter timber.